Multi-Purpose Instant Search is very helpful module for your Joomla website. The module will help users to easily and quickly find content which they look for in your website. With ajax technology, the result will be displayed instantly. You can use this module to search for Virtuemart, K2, and Content. Why Choose Multi-Purpose Instant Search? Flexible using for : Virtuemart, K2, and Content. Compatible with most of Joomla, K2 and Virtuemart versions. Make your website friendly and convenient on searching content. 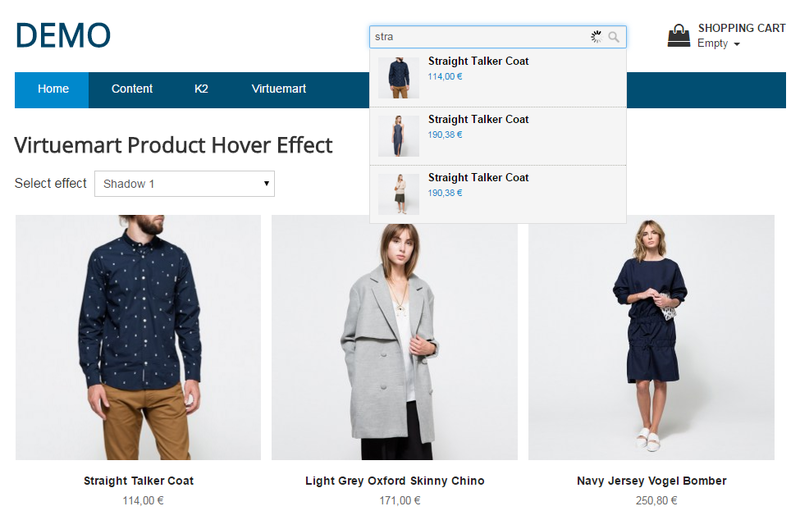 Help your customer save time on searching products with Ajax technology. The results display instantly and clearly with image, title and sub-title. Many options for admin to configure the layout of search. See Multi Purpose Ajax Search here! 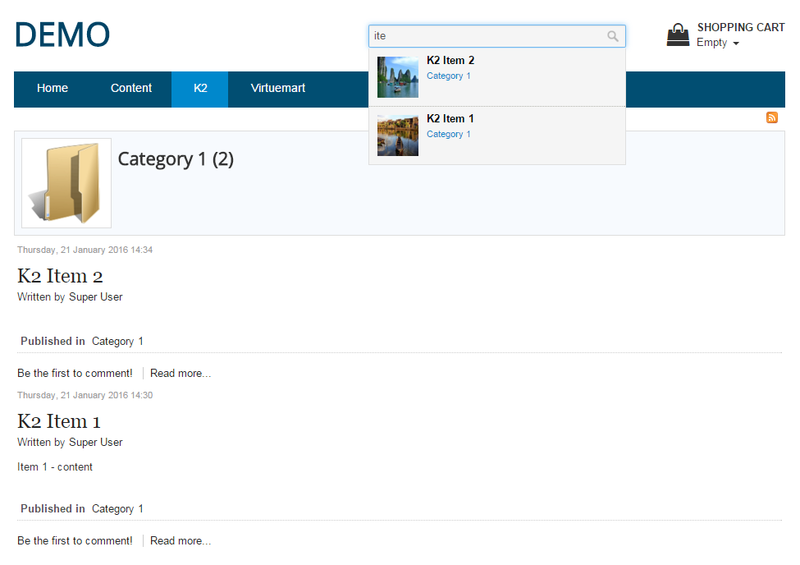 Use module to search for Virtuemart, K2 or Content. Number of typing keyword characters to display result. Number of search results to show. Text displayed on search box. Background color of search box. Color of text on search box. Show search button or not. Use search button in or out of search box. Text displayed on search button. Show image on result or not. Width of image on result. Height of image on result. Background color when hover result. Color of title on result. Color of subtitle on result. Now let try Multi-Purpose Instant Search to make your website more powerful !